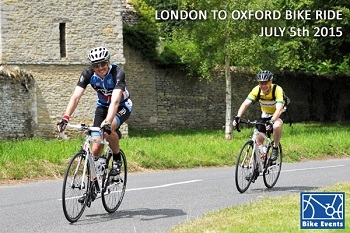 Enjoy a great Summer's day cycling from London through the Chilterns to Oxford in aid of Prostate Cancer Research Centre. Starting from Syon Park in Brentford, visit Fulmer and Burnham Beeches before stopping for lunch by the river at Marlow. The route then heads up into the Chiltern Hills and across Christmas Common to Chalgrove on the way to the finish at Oxpens Meadows. Here you can enjoy live music, refreshments and a well-earned drink in the beer tent!